Denmark’s reputation as one of the most proactive countries in the world in the fight against climate change took a heavy knock this week. Despite its reputation as a green energy pioneer, a Danish government memorandum obtained by newspaper Politiken suggests that the country’s carbon emissions are due to rise sharply, by as much as 10 percent between now and 2030. The potential culprits: Apple, Facebook, and Google, among others. That’s because these tech companies are all either planning or building major data centers in the country. It’s estimated (if not confirmed) that Denmark will host six new data centers within 12 years, and the three companies mentioned above are all either in the process of constructing or scouting sites for major facilities. According to analysis by the Danish Energy Authority, just one data center could push up the country’s electricity consumption by 4 percent—that’s more than is used in an entire year in Denmark’s third city, Odense. Those presumptions are indeed broadly born out by figures from elsewhere in the world. In the U.S. alone, data centers consume 90 billion kilowatt-hours of electricity a year—enough to meet 40 percent of the United Kingdom’s annual energy needs. This consumption isn’t declining any time soon, either. By 2025, the communications industry could consume one-fifth of all the world’s electricity. The increasing use of the cloud for video streaming is a major factor driving the need for ever more capacious data centers, as is the rise of bitcoin mining. The growth in use is large and alarming, and provides its own explanation as to why Denmark has been chosen as a site for the expansion of such facilities. Communications companies are well aware of their heavy carbon footprint and are seeking out places with large renewable energy sectors. The same impulse drove Google this year to buy up all the energy from the Netherlands’ largest solar park, while it has set up data centers in Sweden and (along with Microsoft) in Finland. Certainly, Denmark can supply more green energy than most. In 2017, the country generated 43 percent of its power from wind turbines, a level it hopes to increase to 50 percent by 2030. Green energy is not its sole selling point, either. Add to that an existing role as a global data-cable hub, a stable, corruption-free government, and a location where disruptive major natural disasters are extremely rare, and you have an ideal-looking place for communications companies looking to expand. There is no way that existing renewables facilities could hope to meet the prospective demand from data centers. 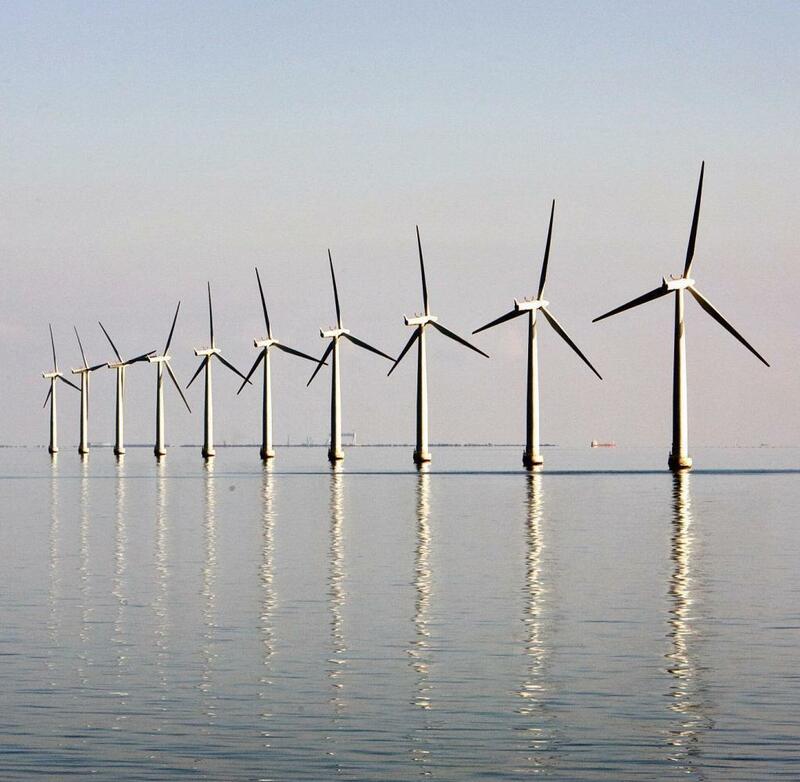 The problem is that Denmark’s green energy has its limits. There is no way that existing renewables facilities could hope to meet the prospective demand from data centers. That means the country will have to generate power using more conventional, polluting sources, including coal. Although it aims to phase them out by 2030, Denmark in fact retains three coal-fired power stations, which growing energy demand will make it harder to dispense with. Just as the country has succeeded in reducing its emissions, it now looks set to push them up again. Another long-discussed option is locating data centers underwater on the seabed, where water can provide natural cooling for the heat-generating computer servers that removes the need for electric-powered air conditioning—although its still unclear what negative effect heating nearby waters might have. Microsoft has in fact just submerged one of these not all that far from Denmark, sinking a 40-foot-long container filled with data drives off the coast of Scotland’s Orkney Islands. Solutions like this could help drive down data centers’ energy consumption—but Denmark is going to need something altogether more comprehensive if its long-standing emissions push isn’t to come to nought. For the rest of the world, however, Denmark still doesn’t represent the worst situation. Data centers located in a country with a cool climate and high renewable energy capacity are less environmentally damaging that their counterparts in hotter regions where coal is still widely used for power generation—such as much of China or the Southern United States. All the same, the fact that Denmark’s green reputation is now attracting industries that may increase the country’s carbon emissions substantially seems like something of an own goal.